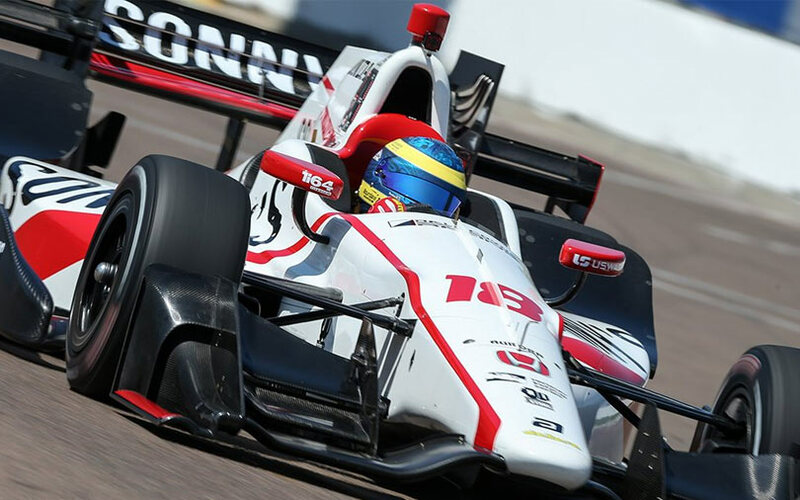 A violent crash during Saturday's qualifying session for the Indianapolis 500 had resulted in several fractures for Sebastian Bourdais. A small correction of oversteer sent him straight into the wall, badly damaging his car that immediately burst in flames as well. 2013 start will be this weekend at St. Pete. Grip is a four letter word. All opinions are my own and not those of current or previous employers. Well it's not exactly spec as there's two engine manufacturers, the Honda has a twin turbo while the Chevy has one larger turbo charger. Also the "cars are pigs" thing. Are you referring to the IR03? Because I would agree. This car's slow, it's unwieldy, and it's hard to race in traffic on road courses... but IndyCar doesn't use that car anymore. Since 2012 the car has been the DW12 which, ignoring if you like the fenders or not, has been much faster, much more racey, and been giving good action on track. The race today at St. Pete was pretty amazing actually. I agree there's some good old racing flat out in America. IndyCar has a much better show than F-1 but that's not very difficult now. The 500 miles of Indianapolis will be for me one of the motorsport highlight of the year with the 24 hours of Le Mans and only then F-1 with Monaco, Spa and Monza. I really miss the Safari Rally with was a great event in the past. Sombrero wrote: I agree there's some good old racing flat out in America. IndyCar has a much better show than F-1 but that's not very difficult now. The 500 miles of Indianapolis will be for me one of the motorsport highlight of the year with the 24 hours of Le Mans and only then F-1 with Monaco, Spa and Monza. I really miss the Safari Rally with was a great event in the past. Nice to see some optimism especially towards a series that has... quite frankly, been in the dumps for the majority of the 2000s. As an early open wheel fan, I would have gladly watch Schumacher era F1 than those early IRL races that's how boring they used to be. Honestly the 2012 car can really upset some traditional tastes but I strongly suggest any open wheel fan to check out the first round. Admittedly Indy still has a bit of a problem with throwing cautions and that's also partially because they are really skittish of people getting hurt again after Wheldon. But it's apparently a work in progress. Spec racing has some serious perks for me. The idea that on any given weekend, any driver has a realistic chance of challenging for victory (although it is still quite rare for surprise victories) is a big incentive for me to get up early here on the opposite side of the world to tune in. I also like the fact that they combine oval and circuit racing as it adds an interesting dynamic. I really like the look and sounds of an Indy car as well. Prototype series that don't have the grandeur of F1 and don't have teams with enormous budgets would be far less interesting. The prototype aspect of F1 has some serious draw backs - it makes driver comparisons very difficult and that can be off putting or misleading for casual fans. I enjoy watching Indy races to see driver skills with less dilution due to technical advantage/disadvantage. I also like to see them racing through American cities. American audiences probably don't appreciate this aspect as much as international audiences. IndyCar is less and less interesting for me every year. Ugly spec cars, boring street courses, boring drivers. It was a great series in the late 80s and early 90s, but today it is a bad joke. BoomBoom wrote: IndyCar is less and less interesting for me every year. Also the current DW12 is less spec than the mid 2000s IR03 when there was literally only one engine manufacturer for all teams, and the new Indy streets has been pretty fun to watch. Sao Paolo is literally one of the best street tracks I've ever seen it lends itself to a lot of passing especially on that massive straight. So you'll forgive me if I don't believe you've actually bothered to watch IndyCar. "Boring drivers" are also a little bit of a silly statement. How does James Hinchcliffe, or Josef Newgarden have less personality than the young stars of the early 90s Indy? BoomBoom wrote: Also the current DW12 is less spec than the mid 2000s IR03 when there was literally only one engine manufacturer for all teams, and the new Indy streets has been pretty fun to watch. Sao Paolo is literally one of the best street tracks I've ever seen it lends itself to a lot of passing especially on that massive straight. 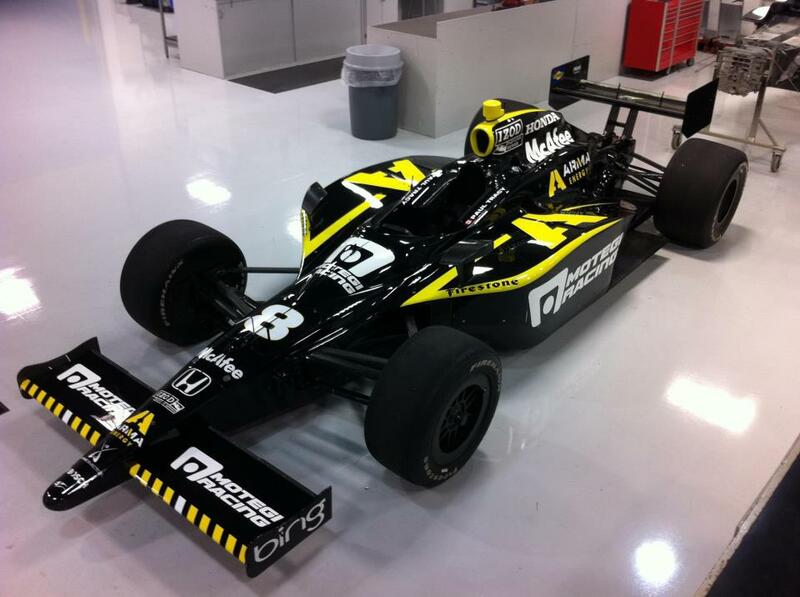 IndyCar had 3 engine manufacturer and two chassis suplier beetween 2003 and 2005. Now we have a fugly and slow spec dallara and 2 manufacturer. The racing is less interesting because the calendar is full of crappy street wreckfests. IndyCar is dead for me. I agree I prefer watching a sport where the most exiting thing to happen is someone breaking teamorders. Because the dp01 "backbreaker" is not able to run on ovals, and from safety standpoint it's a step back to 80s. If they want an road and streets only spec car the new WSR car is a safer, faster and cheeper solution. Isn't that WSR car an Dallara?